Vintage 50s meets modern life in our stunning dining table collection. 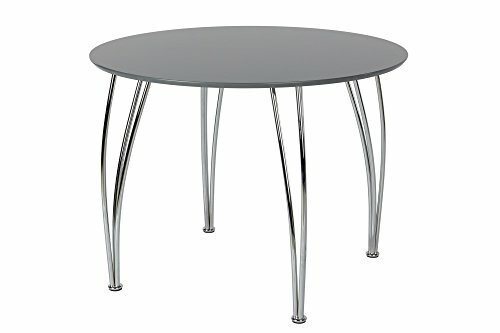 This round table fits seamlessly into small spaces and creates a centerpiece for any dining area. The rounded chrome legs add a bright touch and create the perfect match for our bentwood chairs (sold separately). easy to assemble straight out of the box.